DNALabs Canada’s Chief Science Officer, Aaron Goldman, is at the heart of this enterprise bringing more than 20 years’ of experience in life sciences as well as his expertise in the latest genomic technologies to every product and application. As Chief Science Officer at DNALabs, Aaron oversees all aspects of genetic test design, interpretation and implementation, as well as providing scientific and technical support to marketing and business/strategic planning initiatives. The fundamental principle underpinning DNALabs Canada’s products and business focus is the science behind the application of genomic discoveries to transformative medical practices. The science tells the story. The science creates the opportunities and it will be genomic science that will define the rigour of all DNALabs Canada’s corporate offerings. 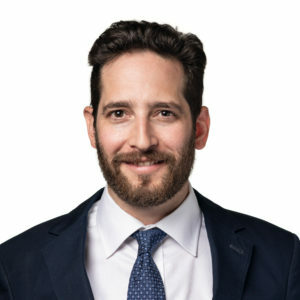 Prior to his work at DNALabs, Dr. Goldman was the Director of Genomics Services at the University Health Network/Mount Sinai Hospital Clinical Genomics Centre in Toronto, a state-of-the-art, full service genomics technology facility that provides genomics services such as DNA sequencing and genotyping to the research community. Dr. Goldman also served as the Research Program Director and co-founder of Mt. Sinai Hospital’s Office of Personalized Genomics and Innovative Medicine, which was established to facilitate the implementation of genomic discoveries into routine medical practice, and to ultimately improve the speed and precision of disease diagnostics and the quality of patient care. In his roles at Mount Sinai Hospital, Dr. Goldman was instrumental in successfully managing several large research programs which attracted over $10 million of funding from various governmental organizations. Dr. Goldman earned his PhD in Molecular Genetics from Yale University and post-doctoral studies at the University of Toronto.